Ennui, noun : a feeling of listlessness and dissatisfaction arising from a lack of occupation or excitement. Yep, that sounds about right. With a forecast 14 weeks of working away in Edinburgh spread over several months, this was always going to be a bit of an ordeal. Living in a hotel; working long hours, typically 7am to 7 or 8pm each day; eating in the same places with the same faces; hills not that many miles away, but unable to squeeze the time out to get to them; life being one virtually continuous cycle of work, eat, sleep without much in between. A night sat alone in the hotel room becomes something to look forward to. The hotel is uninspiring with a mere 9 TV channels (not that there’s much on anyway), the internet costs a tenner a day and my issues list with the room has already hit double figures. It’s boring, it’s certainly not exciting, the project has its own low points too. I really need to get out. So it was a relief, one week into the current two week stint, to have a bit of an early finish on the Saturday. 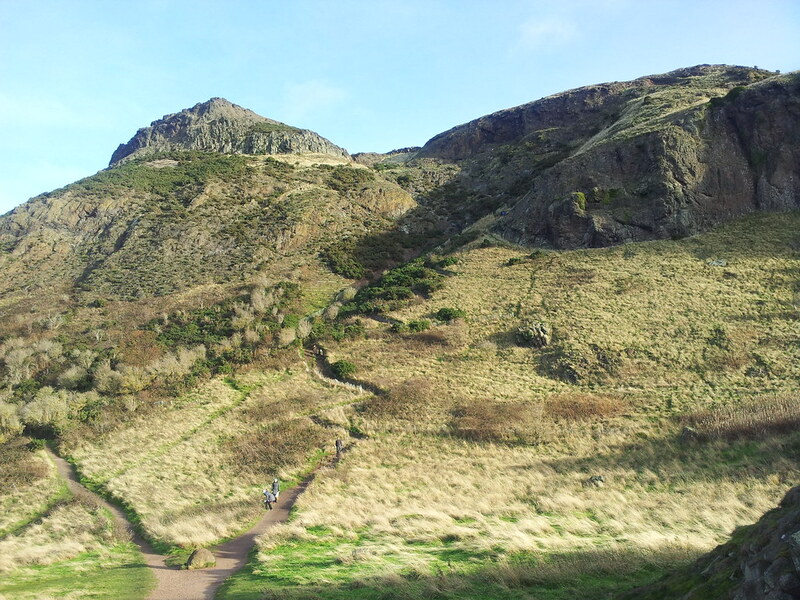 Every day on the walk to work, I’ve been greeted by Arthur’s Seat looming up ahead of me and since the office we’re working in is right below, the three of us that are here for the duration decided to make a brief ascent. 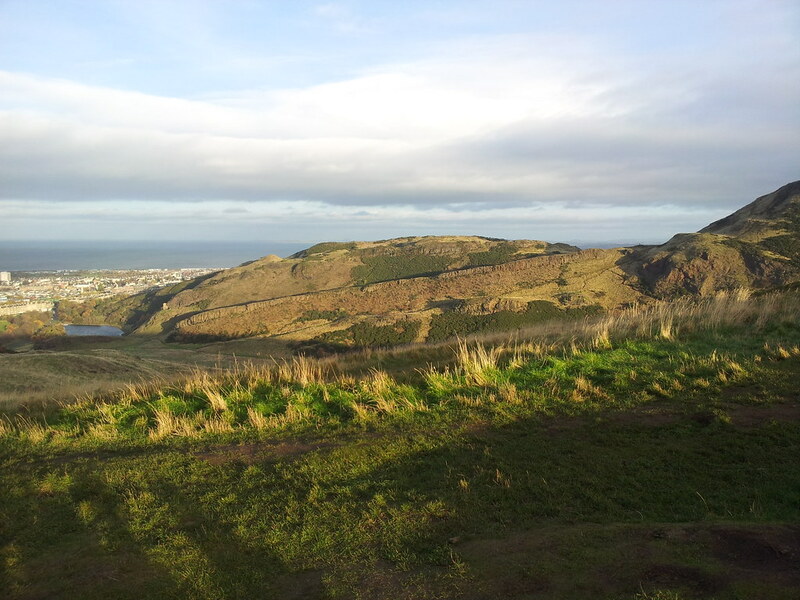 Arthur’s Seat, described by Robert Louis Stevenson as “a hill for magnitude, a mountain in virtue of its bold design”, is actually a glacially eroded extinct volcano and as such has been extensively studied by geologists over the years, it’s location close to a major centre of population making it convenient and instrumental in helping form several of the idea of modern geological thinking. 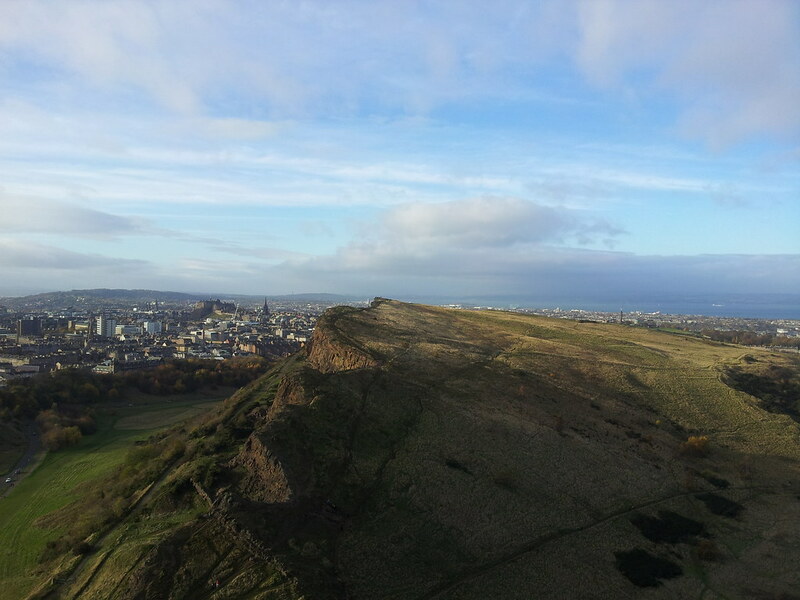 Whatever the geology, it’s an interesting hill and must rank as one of the most spectacular within easy walk of a major city centre. 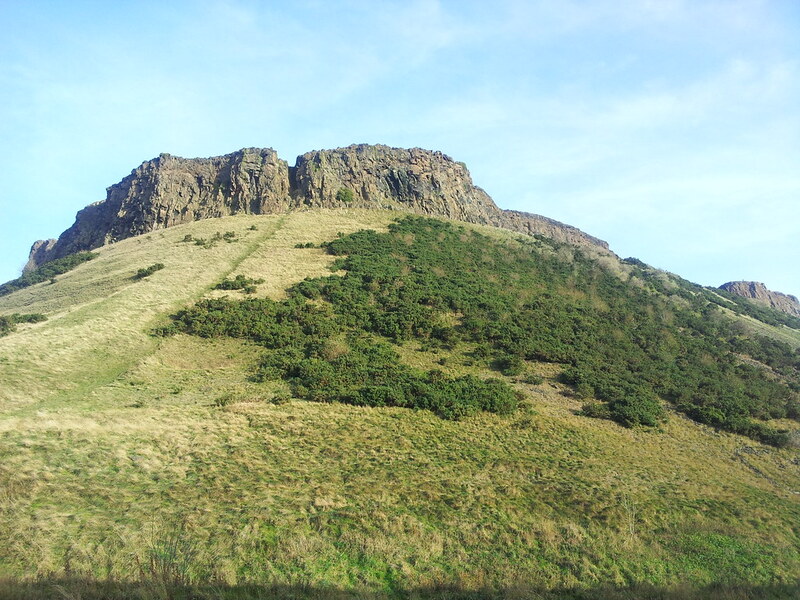 We walked around the corner to the road that rings Holyrood Park, the bulk of which comprises the soaring bulk of Arthur’s Seat. With some local advice from staff in the office we’re working in, we were following this road as it wound gently upwards to give us easier access to the top of this mighty monolith. 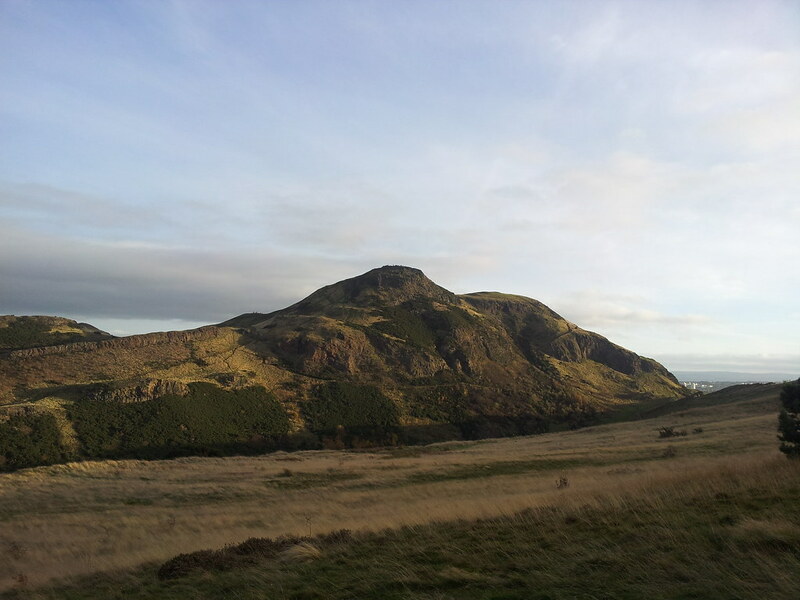 We looked up to our left at the soaring crags, the autumn light enhancing the colours of the hillside. We came to a junction in the road and saw a track leading off left up into the rocks, and there were people going up and down it, so we decided to go for it and not continue all the way around to Dunsapie Loch as we’d intended. 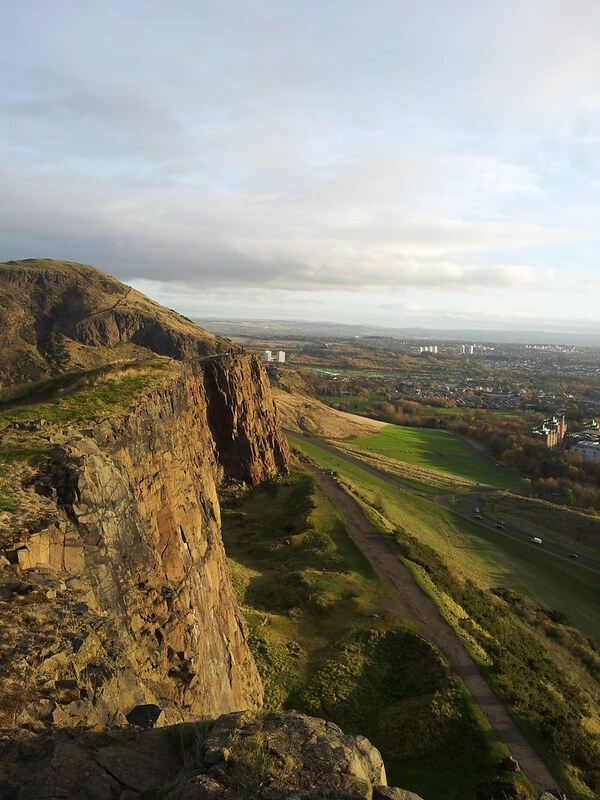 We reached Gutted Haddie, the sort of Col between Salisbury Crags and the main bulk of Arthur’s Seat and paused for a few moments to look down. The summit pyramid rose above us and a stone pitched path zigzagged its way up. We trudged up, the excesses of a week of sedentary work, hotel breakfasts, restaurant meals and the drowning of sorrows taking its toll. Up to our left some intrepid souls were attempting a down-scramble of a rather smooth looking rocky gully – rather them than me. We stuck to the path, swinging around below Crow Hill. As we rose, the views back over the city opened out. The wind became a lot friskier as we climbed up onto Crow Hill and we spent a few moments pretending to be kites and enjoying the view. But ahead still lay some unfinished business – the summit itself. A final 15-20m of climbing in the teeth of the wind on eroded paths and rocks seemingly placed so as to maximise the chance of tripping, and then we were being blown over the uneven rocks on the summit, taking our turns amongst the crowd to climb up the last metre or so to the trig point marking the very top. 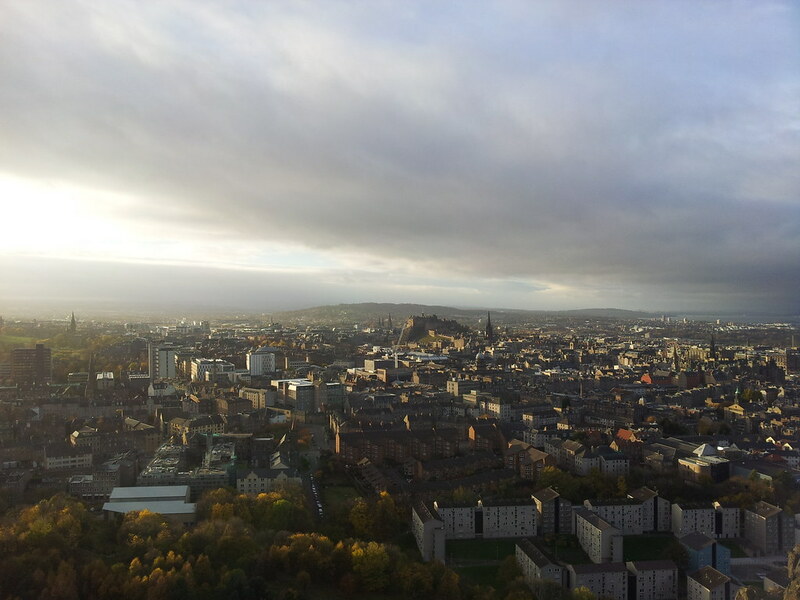 The views down over the city were great though, the Forth Bridge just being discernable and the Pentlands appearing as a brooding grey bulk off to the west. After being cooped up for so long, none of us seemed to want to simply head back down, so we decided to extend the walk and do a circuit of all of the lumpy bits. An easy walk down over the grass brought us to the col with Whinny Hill and we headed up and over the hill before descending to St Margaret’s Loch, in reality a park pond complete with ducks, swans and the inevitable pigeons. But with the sun starting to sink below the bulk of the hill, it started to look a bit atmospheric through the camera lens. 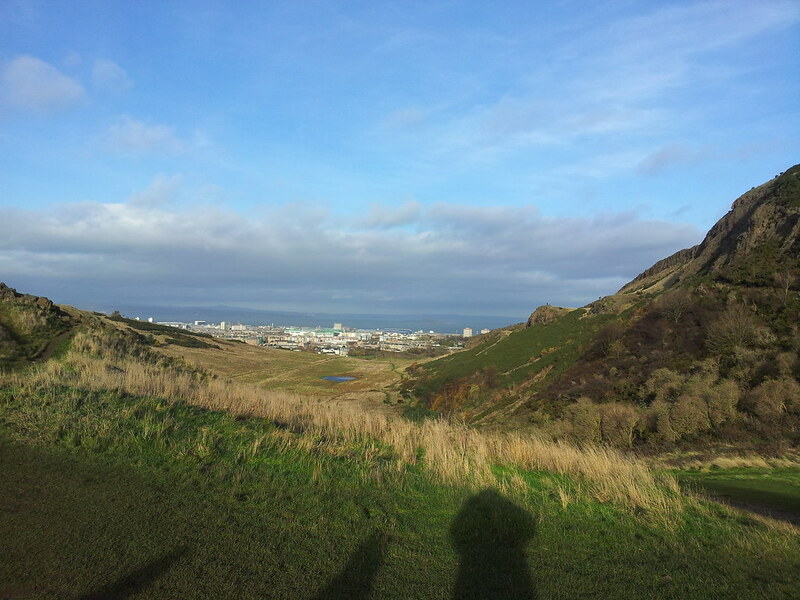 We made our way around the loch pond and started the slog up onto Salisbury Crags, the sun appearing low and in our eyes all the way, along with the wind. Periodically we stopped to look over the edge. By now my knees, having not had to do much other than convey my daily increasing bulk along paved city streets were starting to protest, and I briefly toyed with bailing out. 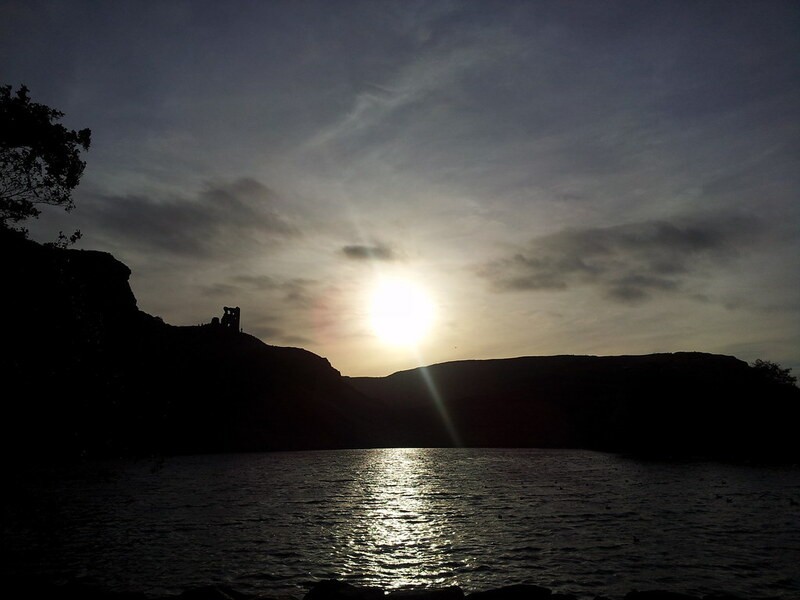 But as the hillwalker of the party, this seemed unthinkable, so I carried on, but took it as easy as I could. We reached the high point of the Crags took some final looks at the views and then descended to Gutted Haddie again, my knees jarring as I lurched down over the uneven ground. 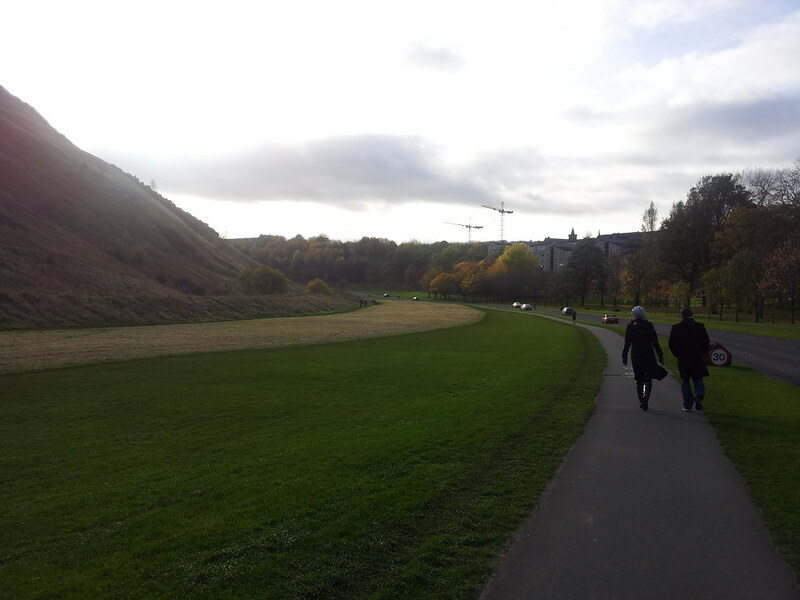 We arrived back at the office, and although it was only about 5½ miles, I was glad it was done. I can feel myself getting out of shape – quite usual for me over the winter months when I tend to get out much less often, but clearly being accelerated by this working away lark. And I’ve still got 11 weeks of it to go between now and Easter. I hate to think what sort of state I’ll be in by then. Matthew, welcome to Edinburgh from someone who was born and bred here! 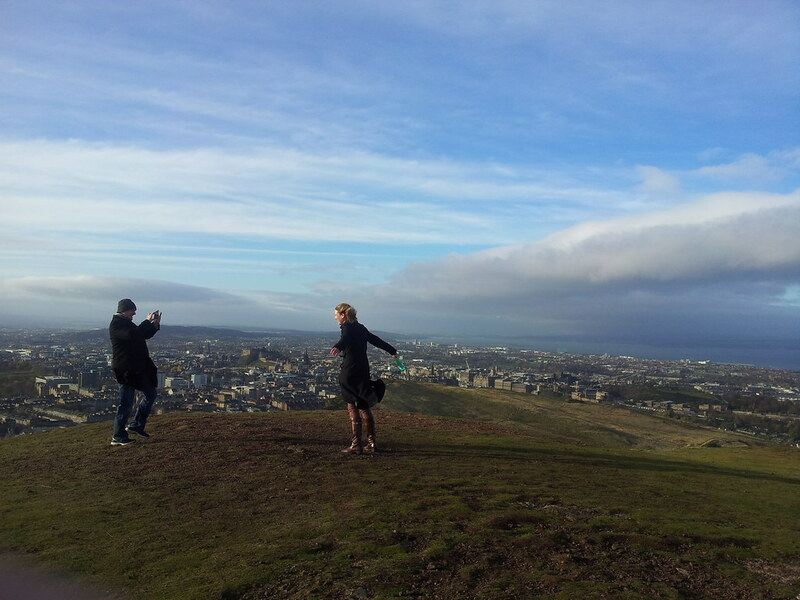 So glad you enjoyed Arthur’s Seat to get away from your daily grind. 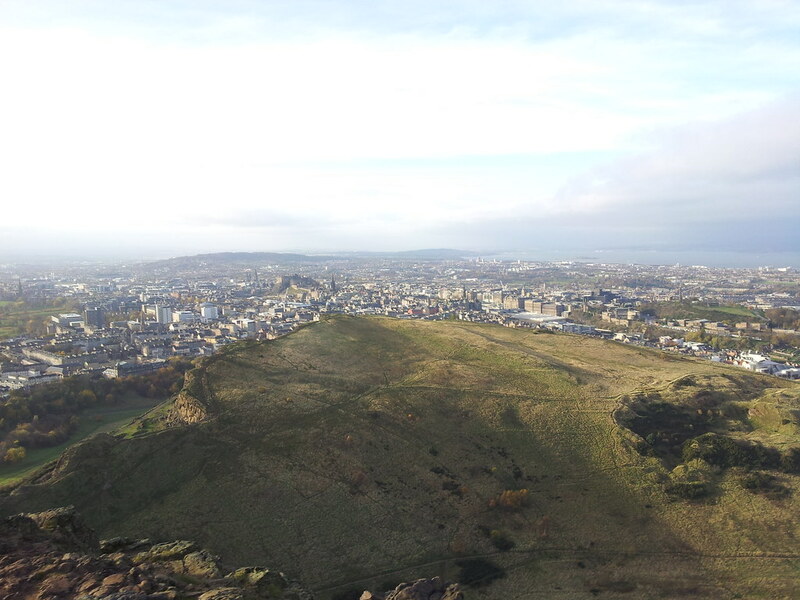 Arthur’s Seat is a mere 823ft above sea level – quite deceiving, given the views across the city. 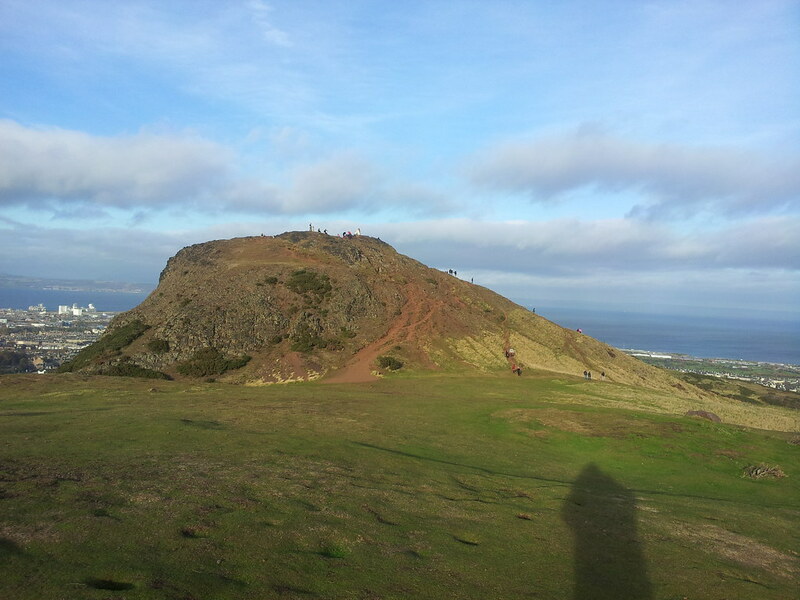 And it’s allegedly the most-climbed peak in Scotland!